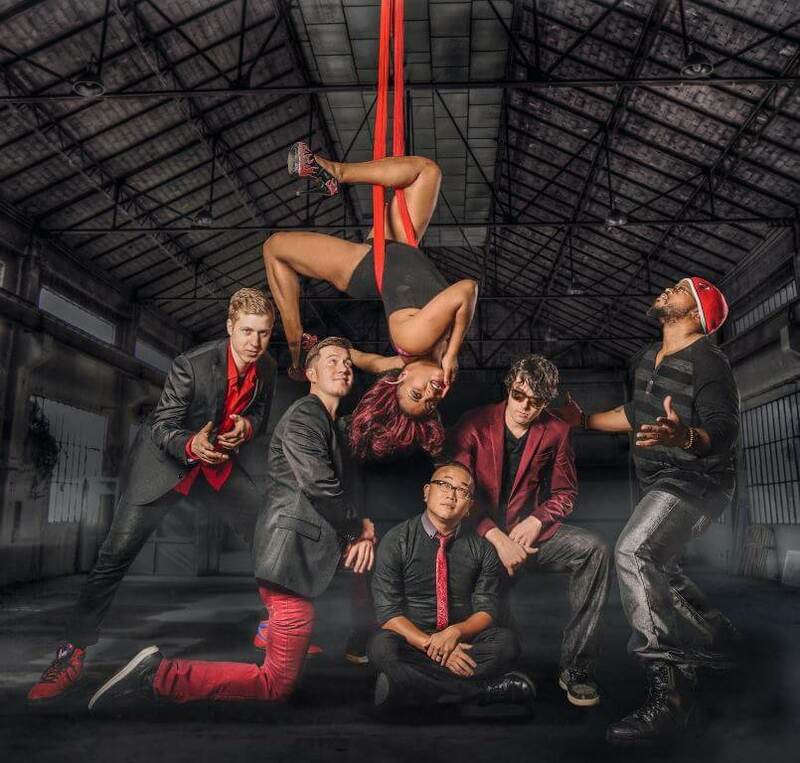 Rooted in Funk, Rock, and Jazz, Mojoflo manages to transcend the traditional boundaries of said genres and not just to give their audience something fun to listen to but to take them on a journey. Blazing vocals, screaming horns, and a hard hitting rhythm section are the hallmarks of the group’s sound. Leading the charge is the group’s vivacious singer Amber Knicole. She is just as well known for her jazzy, gospel-influenced vocal prowess as she is for her captivating stage performance. From Soul Train lines to hula hoop choreography, gravity defying back bends to near-cringe-inducing leaps off the drum riser in 6-inch heels this lady has a knack for leaving audiences enthralled.